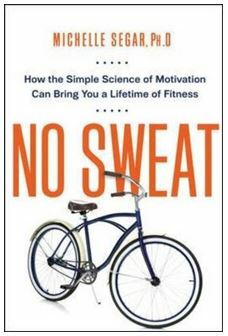 On June 26, 2015, we had a Q&A Interview with Michelle Segar, PhD, MPH a leading expert in health and well-being coaching and in the science of sustainable motivation that underlies fitness, health and well-being and author of the new top selling book, No Sweat: How the Simple Science of Motivation Can Bring You a Lifetime of Fitness. She is a motivation scientist and directs the University of Michigan’s Sport, Health, and Activity Research and Policy (SHARP) Center. 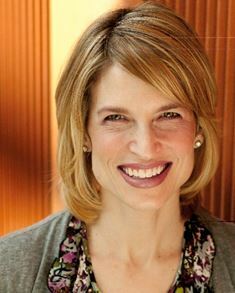 She consults with global health care organizations and advises the U.S. Department of Health and Human Services, Frequently quoted in the media, her corporate clients include Adidas, Walmart, PepsiCo, and Zingerman’s. Bring all your questions. For many of us, exercise has associations of pain and punishment. For some, “exercise” is up there with “diet” on the list of should dos for our health that we are so ambivalent about. In part, thanks to physicians who prescribe strict regimens of intense workouts and fitness trainers who sometimes act like drill sergeants, we sometimes think that exercise doesn’t count unless we’ve put in at least an hour at the gym every day, pushing our bodies until they’re drenched in sweat and spent. A researcher and expert on behavioral sustainability who’s also a coach, Michelle Segar, Ph.D., has developed a more powerful motivator for exercising than health messages and or take-your-medicine sermons. In her just-published, top-selling book, No Sweat: How the Simple Science of Motivation Can Bring You a Lifetime of Fitness, Michelle argues that people of all ages, body shapes, and fitness levels are more likely to start and keep on exercising when exercise is easy to do, feels good, and fuels what matters most in their lives. No Sweat translates years of research on exercise, decision making, information processing, and motivation into a simple four-point program that empowers us and our clients to break the cycle of exercise failure once and for all. In her book, we discover why we should forget about willpower and stop gritting their teeth through workouts we hate. Instead, we can actually become motivated from the inside out and start to crave physical activity. We can get hooked. No Sweat is practical, evidence-based, and filled with inspiring stories. It explains the key science behind breaking free from the frustrating vicious cycle of failure people have been stuck in so they can finally sustain–happily–a physically active life. Because No Sweat is based on a novel integration of academic research and Michelle’s evidence-based, time-tested method (evaluated showing promising long-term effects with funding from the National Institutes of Health), global health care and wellness organizations are starting to adopt these ideas to redesign patient counseling protocols and worksite wellness initiatives. The book offers a relatively easy-to-implement system and is almost certain to become increasingly popular with health, wellness, and fitness coaches and professionals. Michelle Segar, PhD, MPH, motivation scientist and author of “No Sweat! How the Simple Science of Motivation Can Bring You a Lifetime of Fitness” is Director of the Sport, Health, and Activity Research and Policy Center (SHARP) at the University of Michigan, and Chair of the U.S. National Physical Activity Plan’s Communications Committee. Her 360-degree perspective is informed by more than two decades of award-winning research, individual fitness and self-care coaching, and consulting, uniquely positioning her to help organizations understand and leverage the emotional drivers and internal rewards of consumers’ health decisions. Pioneering new approaches to sustainable behavior change in the fitness, health care, and wellness arenas, Segar’s evidence-based ideas about what motivates people to choose and maintain healthy behaviors is changing the conversation across fields. She consults with global organizations on these issues and delivers keynotes and sustainable behavior change trainings. Her consulting and/or speaking clients include Adidas, Beaumont Health System, EXL, Google, Influence Health, National Business Group on Health, PepsiCo, Walmart, and Zingerman’s. She has a doctorate in Psychology (PhD) and master’s degrees in Health Behavior/Health Education (MPH) and Kinesiology (MS) from the University of Michigan. Segar lives with her husband and son in Ann Arbor, and she loves walking, speaking Spanish, eating great food, and hanging out with friends and family. She ran with the Olympic Torch at the 1992 Olympic Games in Barcelona. New York Times (7/20/15). Rethinking Exercise as a Source of Immediate Rewards. An excellent article by Jane Brody featuring Michelle and No Sweat. What readers are saying about No Sweat on Amazon. What experts are saying about No Sweat. *To claim them, you enter your email address. Segar, M. & Richardson, C. (2014). Prescribing pleasure and meaning: cultivating walking motivation and maintenance. American Journal of Preventive Medicine. 47(6):838-841. This study is also available online here.